There will be so many reactions to Darren Aronofsky’s bleak Sunday school lesson, that a shades of grey “wow” is possibly the most instinctively human reaction you can have to it. Arguably the most divisive film of the year, delivering an instant appraisal of mother! could be doing it a disservice, because ultimately that might be a reaction to the insufferable, wailing banshee, descent into hell the director puts us through during the final reel. You need to let it gestate. This might lead to the same negative conclusions for a film which pads towards the precipice of ridiculousness under the guise of thinly veiled horror, dances along the edge with wanton abandonment, before diving headfirst into nonsense. Or you could walk away scratching your chin with the interpretation that Aronofsky has held a mirror up to the world, and this is our inescapable fate. The best way to approach this warning, this tome, is by knowing as little as possible going in, that way it ensures that even if you aren’t willing to go with it when the film nosedives into madness, you’ll at least be intrigued by the unsettling set-up. 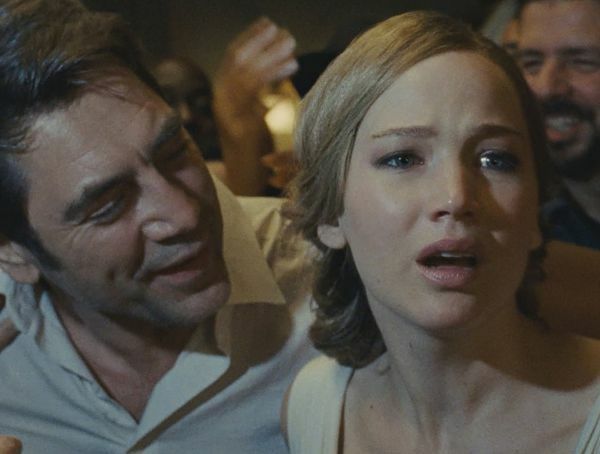 None of the characters are given names, so we simply have Javier Bardem’s poet, and Jennifer Lawrence as his young wife. She is our in, our eyes for this life’s journey, the camera following her every move in a series of graceful to chaotic tracking shots. Their idyllic tranquillity, a house in the middle of a field of undisturbed long grass, is changed by a late night visitor in the form of Ed Harris, a doctor who mistakes their homestead for a B&B. Against her wishes, the poet asks him to stay the night, and before you know it his wife (Michelle Pfeiffer) has dropped in, all barb tongued and lemonade tainted by alcohol, followed by their fighting sons, and a revolving door of unwanted guests. Then all hell breaks loose. mother! is a puzzle, with quite a predictable resolution for anyone willing to take themselves from the lunacy for five minutes to gather their thoughts, but the journey in piecing it altogether is an emotional experience; exhausting, exhilarating, and very, very frustrating. The best films result in discourse, and it could be as pithy as saying whether you loved or hated something, but Aronofsky’s movie will take an entire semesters worth of film studies to unpack. There are visual flourishes that would tickle Freud, scenes which feel like those hedonistic paintings you sometimes stumble upon whilst walking the corridors of an old castle, full of bloodlust phantoms and macabre imagery, and moments of sustained brutality that’ll have you shake your head or roll your eyes, appropriately enough, to the heavens. 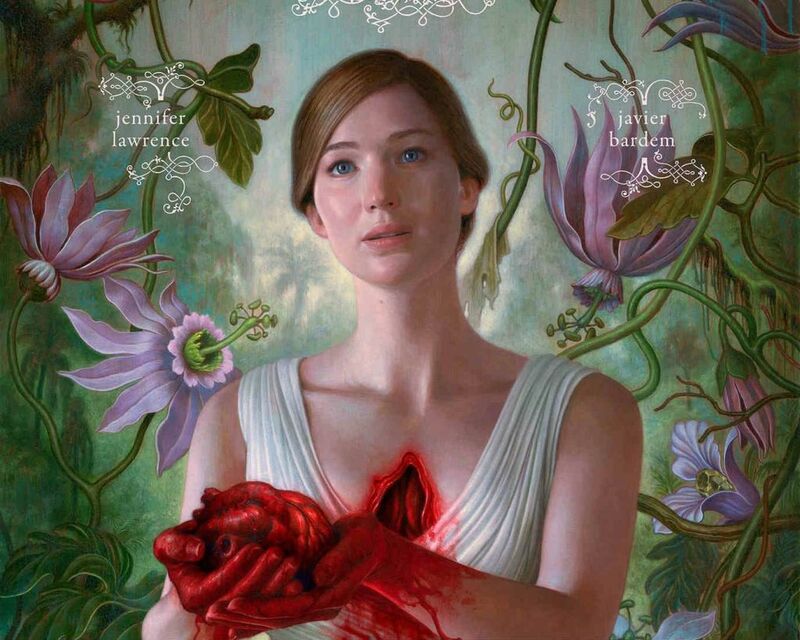 At the heart of this is Jennifer Lawrence, for whom this is hard to gauge as your standard performance, because it feels like she is being thrown through the wringer in the same way that audience is. Asked to react as things become confusing, then clearer, and then batshit crazy, there’s no denying that she gives it her all in a physical role that requires her to evolve into a maelstrom of screaming and bleeding. As an audience, you might feel the same about mother! Bardem is harder to read, purposefully so, and as such has fun as the multi-faceted poet, revelling in the over-the-top characteristics and shifting insanity. Everyone else kind of swirls around the couple, but Michelle Pfeifer is delicious fun as the Dynasty-style harpy, sent into the house to bring about an apocalypse of sorts, even if that just means making a mess in the kitchen. mother! veers between stylish single star histrionics, and five star brilliance, heaven and hell if you wish, and the pendulum will swing between the two the more you deconstruct it, so it only seems fair to settle somewhere in the middle, which doesn’t feel right for a film that is probably beyond a definitive rating. If your head doesn’t hurt by the time the credits roll, then you probably walked out a long time ago.